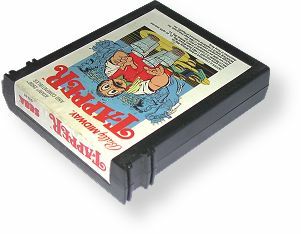 Sega Grip case games usually have a white label with colorful text and some game artwork. The Grip case is different from the normal case because it has the Sega name embossed on the back of the cart, and there are some large grooves on the side near the end label that make it easier to grip the cartridge when inserting or removing it. Some Sega games come in Normal and Grip styles. Records Found: 8 Click on a column header to sort by that column. Click again to reverse sort order.